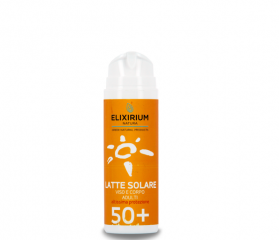 Elixirium Natura :: ELIXIRIUM NATURA - SUN PROTECTION FACE AND BODY MILK SPF 50+ FOR ADULTS. 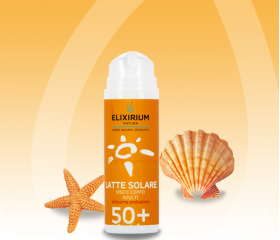 HomeElixirium NaturaELIXIRIUM NATURA - SUN PROTECTION FACE AND BODY MILK SPF 50+ FOR ADULTS. ELIXIRIUM NATURA - SUN PROTECTION FACE AND BODY MILK SPF 50+ FOR ADULTS. 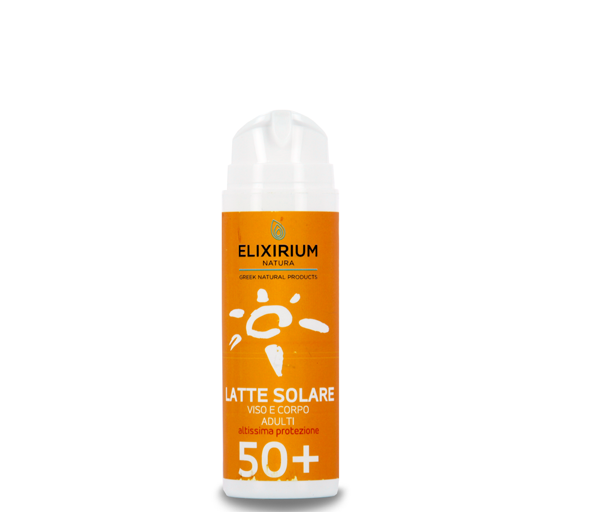 Soft and creamy emulsion, very rich of chemical and physical sunscreens (Zinc Oxide), which guarantees a high protection against rays UVA and UVB. Moisturizing and nourishing active ingredients like Aloe Vera, Allantoin, Collagen, Oil of Apricot and Sunflower are combined to soothing extracts like Chamomile and Blueberry. Specific product for very light skin, delicate and thin, subject to redness.